We have always agreed with the idea of a crisp white shirt & Blue denims being the ultimate Combination ever - almost as if it were "Fashion"-common sense. Turns out- common sense ( Bon Sens is french for common sense) is just not common. It looks like a harmless word , but in reality it may lead to wrong decisions. For example, I expect a certain behaviour from a certain someone because its "common sense" but end up being completely surprised in reality. The fact is common sense stems from our personal experience and every person has different experiences. On the basis of this experience -derived common sense , i make certain assumptions about the person and end up being disappointed when their reaction deviates from what i expected. And then i make another assumption - " This person lacks common sense" and there i go totally wrong ! Because - who has ever defined common sense or its limitations ! Till next time , CIAO. Follow daily content on my Instagram, Facebook, Twitter. 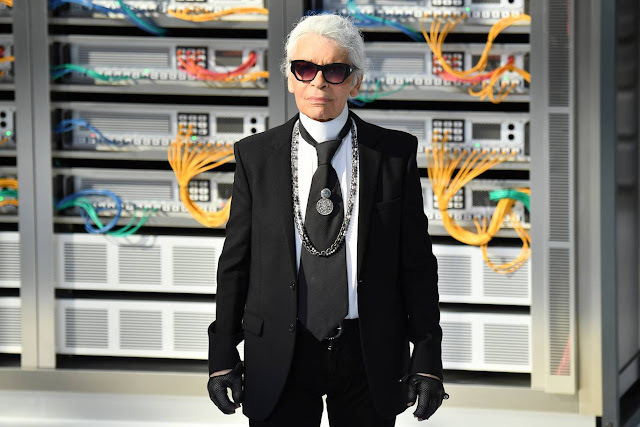 I have never owned a Chanel anything, yet today when the legendary Karl Lagerfeld's demise made headlines - I knew i had to pen my admiration for this legendary design-Lord down , because we all know - our Runway excitement will never be the same again . We have to give it to Karl Lagerfeld for carrying Coco Chanel's tweed obsession from the 20s archives back to the 80s and now into every girls "Must-have" list ! A look at anything tweed , and we exclaim - Thats so Chanel - no matter who has made it . My recent purchases from my favourite high-street brand were all Tweed and i couldn't stop raving about them because thanks to Karl- its the most desired fabric which makes one look "Parisian chic". Though tweed has its origin in Scotland , Coco was quick to adapt it to her collection when she released the first Tweed cardigan in 1925 inspired by the Duke of Westminster . What Karl did was re-imagine Tweed and bring it out of its very formal setting to something casual and even Grungy with frayed bottoms. While most tweed creations were monochromatic , Karl introduced multicolour Tweed which made it more appealing to young girls who loved vibrant wardrobes . The formal "Jacket-skirt" suits were now being used as separates with different materials like leather . Tweed is no longer limited to mature women but also "girls" , all thanks to Karl. Chanel was a dying fashion house after Coco Chanel passed away in 1971. A decade later when Karl was hired to bring back the Parisian fashion house in 1983 - his strategy not only gave Chanel a roaring success - but also inspired other fashion houses who were reeling through the same scenario to take note and re-build themselves. Lagerfeld always believed in living in the moment and hence infused modern elements into vintage elegance created by Chanel thus keeping the signature Chanel designs intact with a modern twist . The loyal consumer was sold on this strategy because his style continued to have a recognisable "Chanel " aura yet was relevant . Keeping all the vintage Chanel elements constant like Pearls , quilting , braids, CC Logo, Chanel 2.55 bag - Lagerfeld continued to re-invent Chanel every year with his experimental tweaks thus making the brand the most coveted Ready-to-wear luxury label . His grand Chanel runway sets exude extravagance of a kind relatable yet larger than life. Runways will never be the same again without him but we do hope his legacy will be carried on just like he did for Coco Chanel. 3. 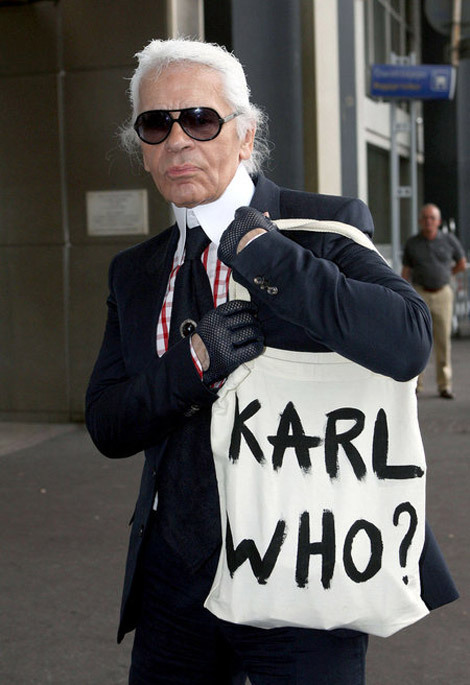 The "Unstoppable Creative "
Working 16 hours daily , Lagerfeld called himself a human machine . But unlike a machine- he was a creative machine leading not one but 3 Fashion houses at the same time - CHANEL, FENDI and his label "KARL LAGERFELD" even at the age of 85. Not only that he dabbled in photography , often shooting his own campaigns every time he'd launch a new collection - showing how deep the creative veins ran. He is an inspiration to all of us who complain we don't have enough time to do what we love - because turns out - his life was a lesson in accomplishing everything he liked under 24 hours every day which also included losing 40kg in 13 months just to fit into a Dior suit! Dedication Supreme! When asked about retiring he said "Why should I stop working? If I do, I'll die and it'll all be finished. I'm lucky to work in the most perfect of conditions. I can do what I want in all kinds of areas. The expenses are not expenses. I would be stupid to stop that. Work is making a living out of being bored." Slow Fashion: Introducing Hand Me Down Collective by I'm a Norbyah.